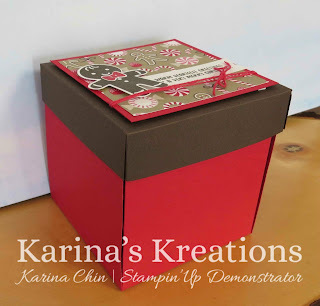 Karina's Kreations: Stampin'Up Cookie Cutter Christmas Explosion Box! 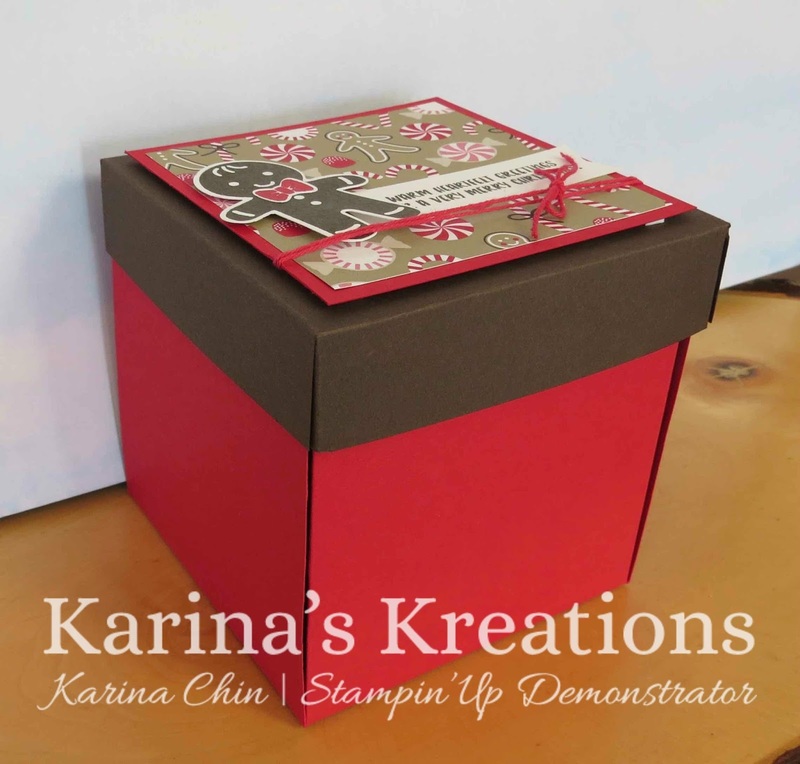 Stampin'Up Cookie Cutter Christmas Explosion Box! I was so proud when I designed this project featuring the Cookie Cuter Christmas stamp set #143493 and Home Sweet Home Thinlit Dies #143516. I made a video for you showing how to make the explosion box. I used the Gift Box Punch board #135863. I used 12" x 12" Real Red card stock for the box and 6-1/8" x 6-1/8" Early Espresso card stock scored at 1" on all sides for the lid. Stanpin'Up has a video for the Home Sweet Home thinlit die that shows how to make the little house.